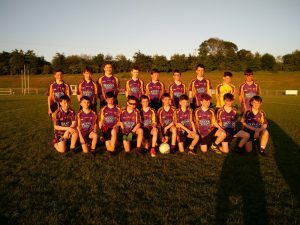 The East Down U14 Boys football leagues reached the mid-point on Monday, with Carryduff involved in a double header with near neighbours Bredagh. A sunny Cherryvale in perfect conditions was the venue for the section A U14 league clash. After a tentative start, with both teams assessing the strength of their opposition, it was Bredagh who made the early running with some fine finishing from play and placed ball. As the half progressed, however, Carryduff established their own pattern of play and held a slender lead of 1-7 to 1-4 at the break. With great hunger, tenacious tackling and fast flowing play, the Carryduff men stretched their lead in the second half against a determined Bredagh side with McReynolds, Crosbie, Swail, McCarroll, O’Connor, McArdle and Blaney among the scorers. At the final whistle Carryduff recorded their fifth win of the campaign on a score line of 3-14 to 1-7 with fine contributions from the entire panel. 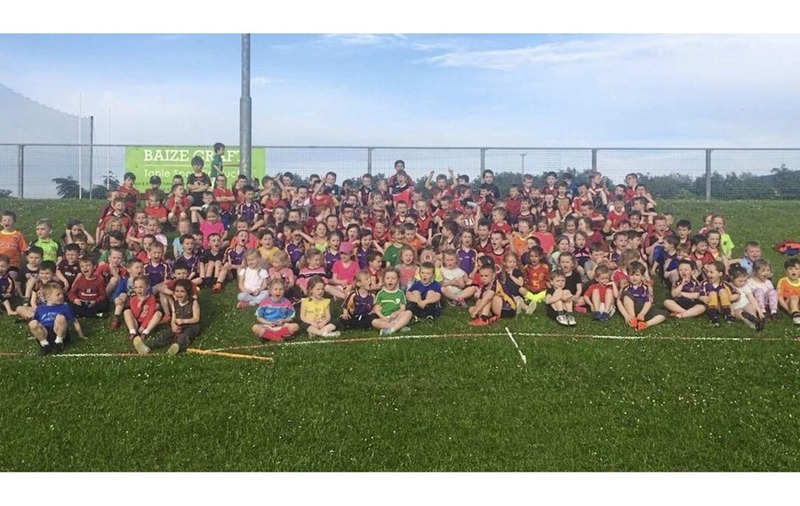 Meanwhile at Páirc Aodha Dhuibh, Carryduff and Bredagh B teams played out a competitive and entertaining game. The Duff started brightly, but struggled to take their chances, before Oran Donaldson found his range with some lovely points. Oran McMeel, Ronan Donaldson and Lorcan O’Hagan stroked over impressive points, before Lorcan O’Connor cracked home a goal and the home side had the lead before the break. Unfortunately, their early profligacy in front of goal meant that their advantage was only a single point, scant reward for their impressive play. The second half saw an improved Bredagh retake the lead, but with O’Connor and Donaldson always a threat for the Duff, the game was right in the balance as it entered the closing stages. The hard working Joseph Doherty and Shea Guinness were defending well, but with time running out Bredagh were awarded a penalty, which they duly converted. As both teams tired in the sweltering conditions, the game became very stretched and there were a clatter of late goals, three in the last five minutes. 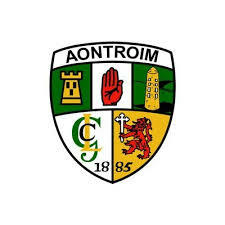 Callum McLeod’s effort for Carryduff was sandwiched by two Bredagh majors, as the game ended with Bredagh victorious on a scoreline of 4-14 to 2-10. The visitors were deserved winners on their second half display, but the final scoreline hardly reflected the nip and tuck nature of the vast majority of the game. Credit to both sides who gave it their all and those involved will have slept well after their exertions.